Whether you long for liveaboard diving or you’re a casual scuba enthusiast, exploring the world’s oceans can give you a brand new perspective on your destination. However, adding any adventurous travel activities or extreme sports to your itinerary, including scuba, ups the risk of experiencing a medical emergency, so you’ll want to be prepared. Before you dive into your next scuba adventure, whether it’s within Canada or abroad, get a comprehensive travel insurance plan to protect you, just in case. All travel insurance policies have exclusions, so you’ll want to research your options and be sure scuba’s covered before you buy. TuGo® Travel Insurance now covers all types of scuba enthusiasts, from uncertified newbies to certified divers, and professionals diving at different depths. We know travel insurance can be confusing. So to make things easier, we’ve answered a few of your frequently asked scuba diving travel insurance questions, below. Getting ready for a day of diving. An experienced guide or instructor, well maintained dive gear and travel insurance are essential for a safe and successful scuba vacation. Q. Why do I need scuba diving travel insurance? Although scuba diving’s very popular, it’s still an extreme sport and comes with health risks. 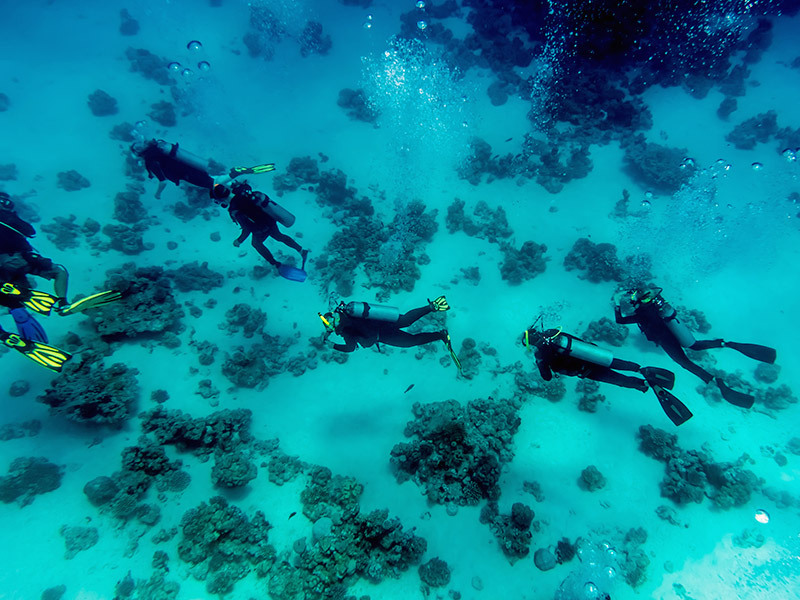 If you were to experience a medical emergency while diving, you’d want to be covered. Medical treatment, like a stint in a hyperbaric chamber or air evacuation (in more extreme cases) is expensive when you’re away from home; and your provincial health care won’t cover more than 10%. Travel insurance makes sure you get the appropriate care where and when you need it and protects your financial investment. Divers explore the ocean floor, deep below the surface. Q. Will I be covered if I’m not a certified diver? A. If you’re uncertified and want to try scuba diving on your next trip, TuGo will cover you if you add our Extreme Sports Coverage on to your Emergency Medical Insurance. It covers scuba divers who aren’t certified by an internationally recognized and accepted program. Q. Do I need to buy additional coverage if I’m a certified scuba diver? A. No, certified scuba divers don’t need additional scuba coverage for dives under 30 metres. With our Emergency Medical Travel Insurance, you’ll be covered for dives under 30 metres and for any injury or sickness while scuba diving as long as you’re certified by an internationally recognized program such as PADI or NAUI. For any other certifications, you’ll have to verify first whether your program meets the criteria. 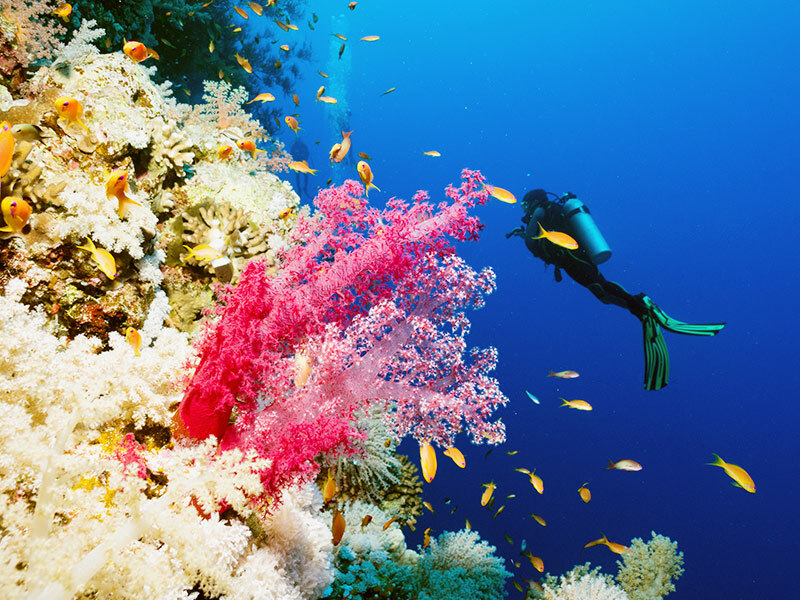 Colourful coral adorns a reef in Egypt’s red sea, an internationally recognized diving mecca. Q. What if I’m certified and travelling for a scuba instructor training course? 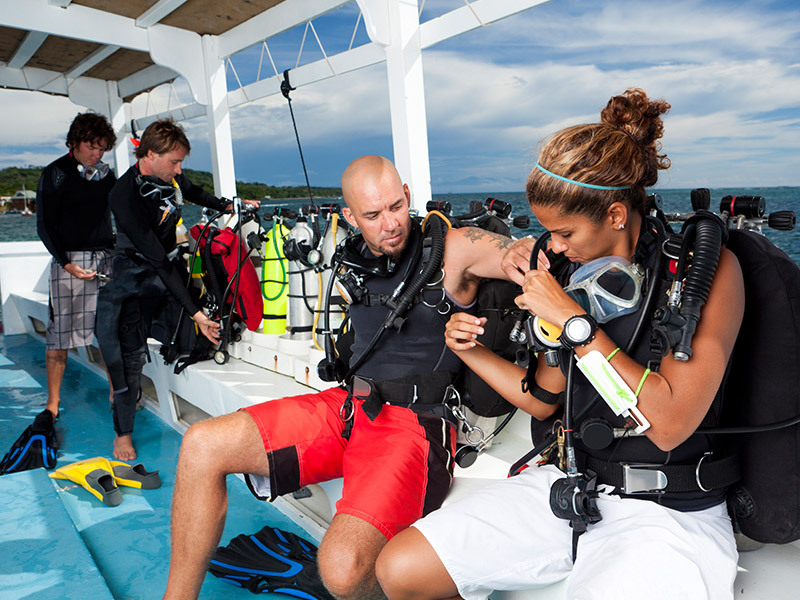 If you’re PADI/NAUI certified and travelling to take a training course to become a scuba instructor, our Emergency Medical Insurance plan will cover you as a professional diver. However, if you finish your instructor training course successfully and are diving over 30 metres, you’ll want to add our Extreme Sports Coverage to your Emergency Medical Insurance. Q. I’m a visitor to Canada, can I still be covered for scuba diving? Yes, if you’re a certified diver, our Visitor to Canada Emergency Medical plan will do the trick! If you’re not certified, or diving over 30 metres, you’ll need to add the Extreme Sports Coverage to your plan. This will provide you with coverage up to the sum insured amount you chose for the the Visitor to Canada Emergency Medical plan. We hope we’ve answered a few of your pressing scuba diving travel insurance questions. But if you have more, feel free to ask below!